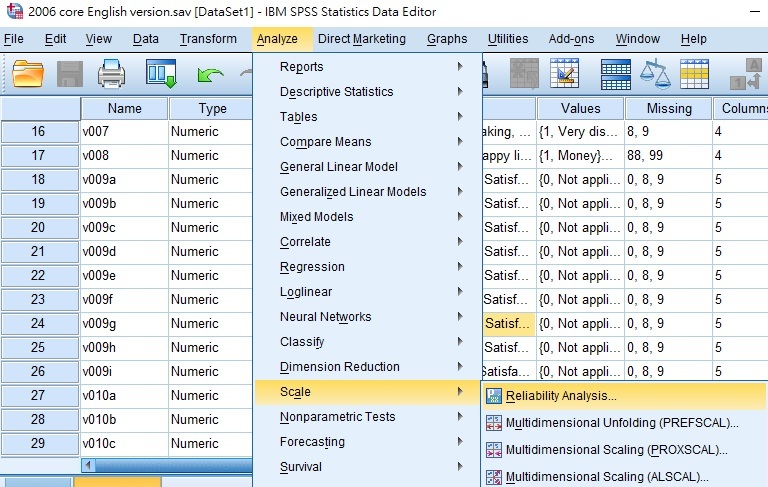 This SPSS tutorial explains how to test reliability using Cronbach’s Alpha in SPSS. Reliability means whether the data are consistent using different instruments to measure the data. One example is the questionnaire design, in which more than one questions are asking the same thing but using different wordings. If the answers are inconsistent then the data has low reliability. Cronbach’s Alpha is a common measure for reliability and internal consistency, the range is from negative infinity to positive 1. The higher the value, the more consistent the data are. Lets say we have conducted a questionnaire with many questions and we want to know if Q9A to Q9D answers are consistent. 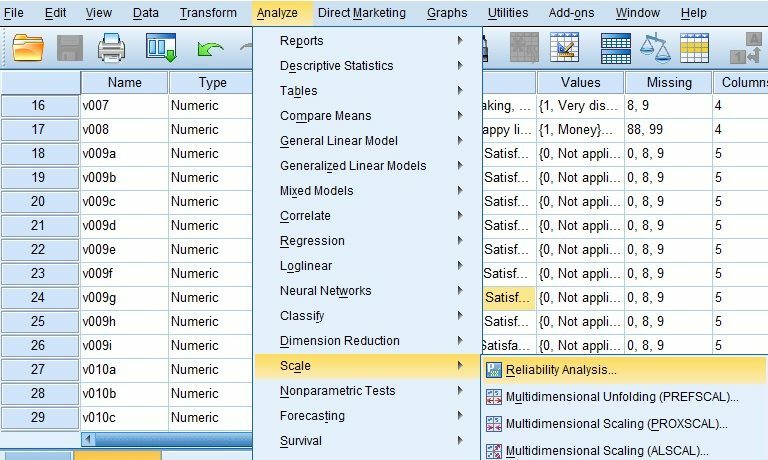 In the result, the most important table to look at is Reliability Statistics. 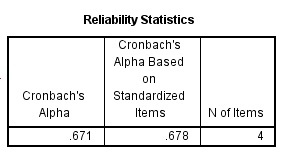 In social science, Cronbach’s Alpha > 0.7 is considered as acceptable. The Cronbach’s Alpha in this example is 0.671, less than the standard but it is still high. Since the calculation of Cronbach’s Alpha depends on the inter-correltation, this table shows which question has low correlation. 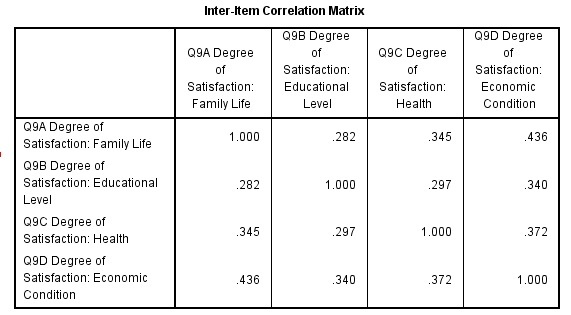 If you look at Q9B, the highest correlation is just 0.34, on average Q9B has the lowest correlation. 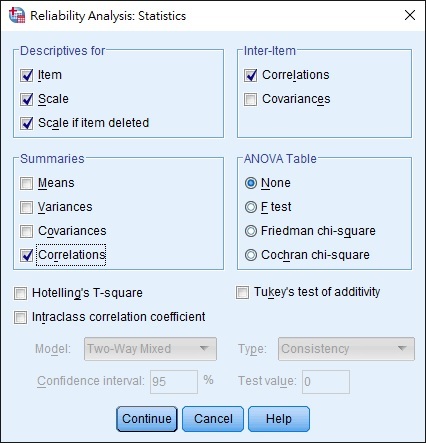 In this Item-Total Statistics table, we can see that if we decide to remove any question, Cronbach’s Alpha drops, therefore we should keep all questions.